Lynesack National School was built in 1852 on Grewburn Lane. Source: www.geograph.org.uk The copyright on this image is owned by Hugh Mortimer and is licensed for reuse under the Creative Commons Attribution-ShareAlike 2.0 license. The plaque over the door says 'National School 1845'. 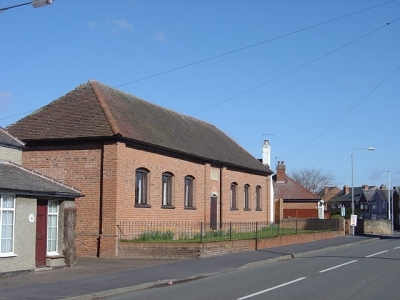 The building is now used a the Memorial Hall. Source: www.geograph.org.uk The copyright on this image is owned by John Illingworth and is licensed for reuse under the Creative Commons Attribution-ShareAlike 2.0 license. The inscription says ''National School for boys. Built by public subscription and munificently endowed by Matthew Pyper, of Whitehaven, Esquire'. The school was opened in 1818, became part of Vicarage Park School in 1974 but has since closed. Source: www.geograph.org.uk The copyright on this image is owned by Humphrey Bolton and is licensed for reuse under the Creative Commons Attribution-ShareAlike 2.0 license. 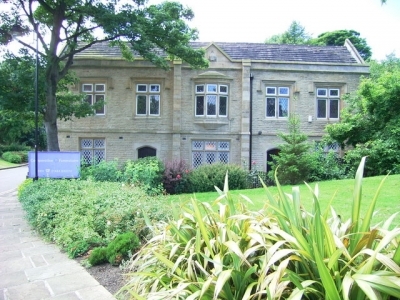 This national school building, on Moor Lane, is now used as a restaurant. In the past it has also housed an electronics factory. Source: www.geograph.org.uk. The copyright on this image is owned by Alexander P Kapp and is licensed for reuse under the Creative Commons Attribution-ShareAlike 2.0 license. Source: www.geograph.org.uk The copyright on this image is owned by Alexander P Kapp and is licensed for reuse under the Creative Commons Attribution-ShareAlike 2.0 license. 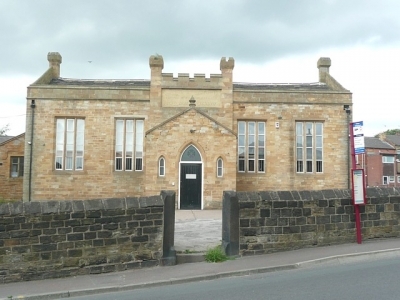 The Burnley Borough Council plaque says: 'Old National School built in 1830 and used as a school until 1904. This building was the master's house'. Source: Wikimedia Commons. This work has been released into the public domain by its author, Cj1340 at the wikipedia project. This applies worldwide. The former national school building in Pendleton still has the original stone plaques over the doorway. The national schools in Sutton (one for girls and one for boys) were initially opened in the 1850s in the site of the old workhouse on what was to become New Street. In the 1860s, the schools were moved to Ellamsbridge Road. 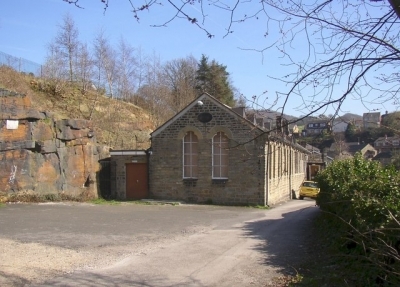 The school continued on this site until the 1960s. The school was popularly known as Sutton Nash. There is some great information and photographs of this national school on the SuttonBeauty website. 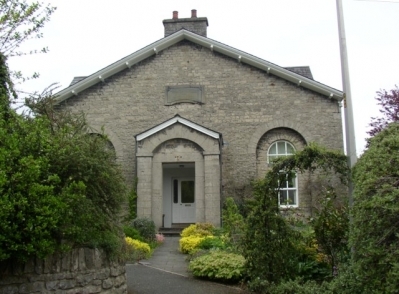 Built in 1828, this building hs now become the village hall. Source: www.geograph.org.uk The copyright on this image is owned by Alan Murray-Rust and is licensed for reuse under the Creative Commons Attribution-ShareAlike 2.0 license. The national school building is now used as an outdoor centre. Source: www.geograph.org.uk The copyright on this image is owned by John Darch and is licensed for reuse under the Creative Commons Attribution-ShareAlike 2.0 license. 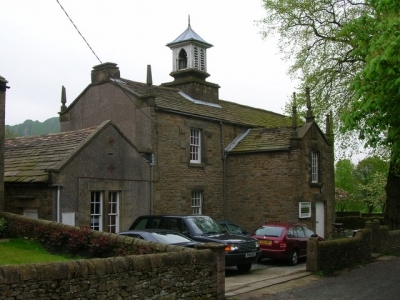 The former national school building in Grassington. 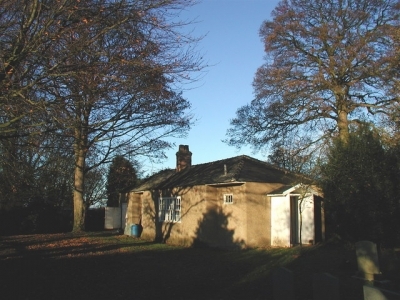 According to the photographer the "former school building dated 1814 in the Castle Yard at Knaresborough. There were separate buildings either side of what is now a car park, one building for boys and one for girls". Source: www.geograph.org.uk The copyright on this image is owned by Gordon Hatton and is licensed for reuse under the Creative Commons Attribution-ShareAlike 2.0 license. The Attercliffe National School, off Attercliffe Road in the Attercliffe area of Sheffield. The small church stills stands just behind it. The Hillsborough National School occupied the site of the former Woolworths building. The schools was was demolished in 1939 and the land was disused until Woolworths was built. 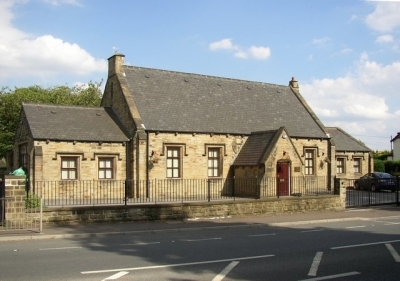 The national school on Bradford Road was built in 1848. 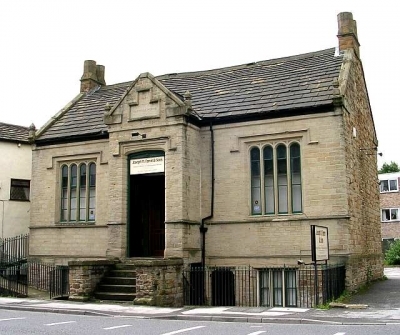 We have a mystery about Batley National School - can you help? Source: www.geograph.org.uk The copyright on this image is owned by Betty Longbottom and is licensed for reuse under the Creative Commons Attribution-ShareAlike 2.0 license. The national school on the corner of Park Road and Lime Street was built in 1844. The school clock is still on the wall with a plaque underneath with the date of 1844. 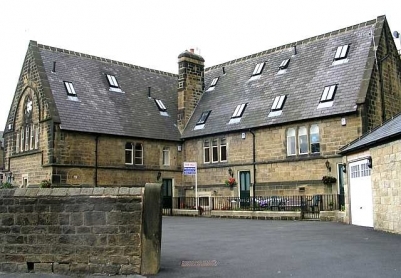 Pictured is a second school room in the Birkenshaw national school. 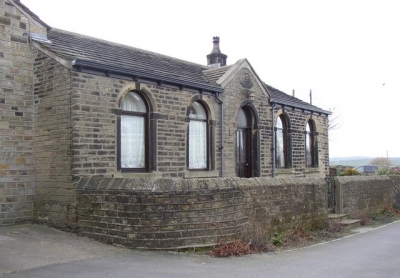 This school was built in 1842 and the second schoolroom was finished in the 1850s. 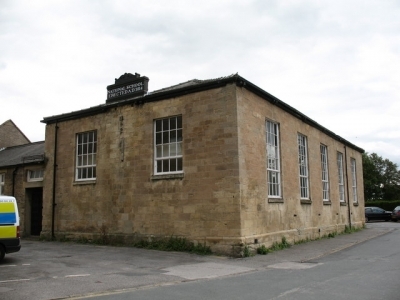 Former National School, Kirkgate, Birstall. Dated 1818 on the plaque, which reads: National School erected by William Charlesworth 1818. The plaque reads “National School 1837". 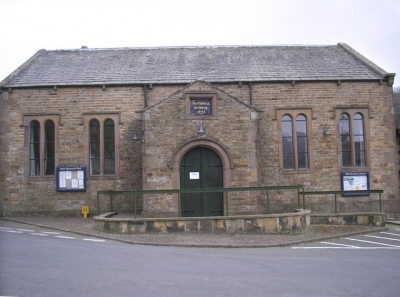 The building is now used as the village hall. 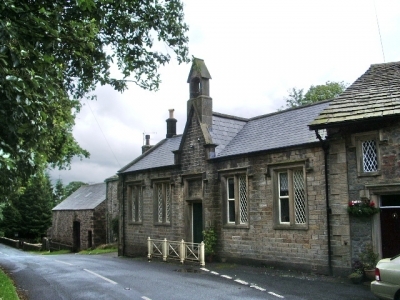 The national school in Scholes was built in 1847. 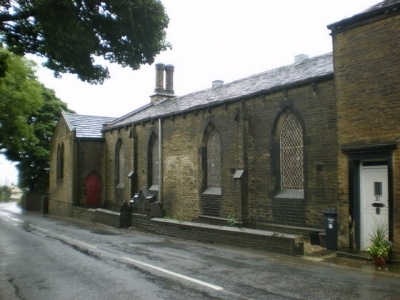 In 1944 it became a Church of England Aided School, and since 1973 it has been used as a nursery school. 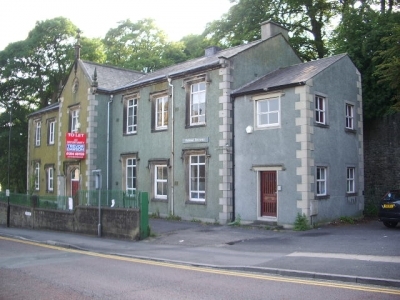 This former national school was built in 1872 on Wharfe View Road. 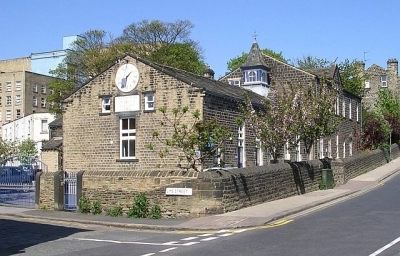 The national school was on Halifax Road, the same road as the Town Hall. 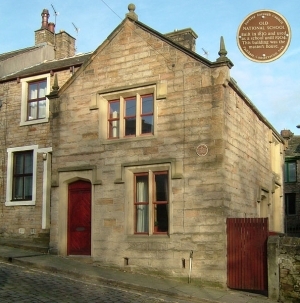 There are two plaques on the former national school building: "Oldfield Church of England National School 1843", and "Restored 1874". 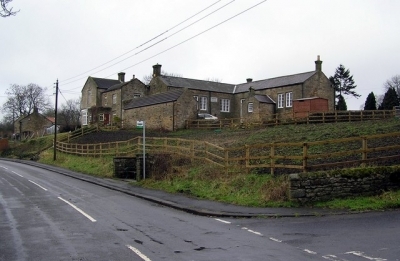 The Slaithwaite National School was built in 1840. Source: www.geograph.org.uk The copyright on this image is owned by Stanley Walker and is licensed for reuse under the Creative Commons Attribution-ShareAlike 2.0 license. 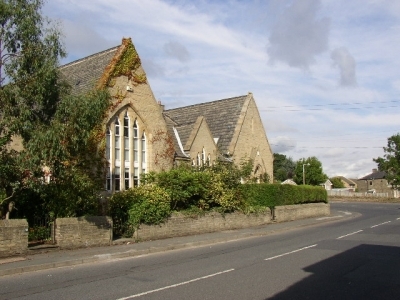 The former national school was on Church Lane. 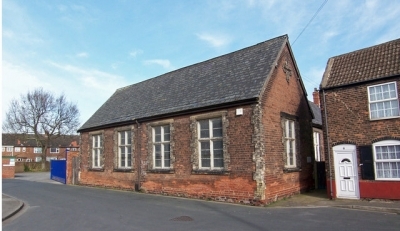 The former national school in The Hourne, Hessle, was built in 1855. Lovely photographs and information of Pocklington National School is on the Pocklington History website . The school was built in 1819 on West Green and was then moved in the 1840s to New Street finally closed in the 1970s. 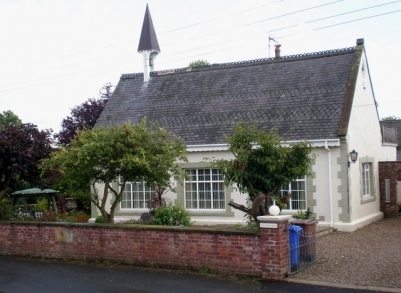 This was built in 1858 and is now a private home. Source: www.geograph.org.uk. The copyright on this image is owned by Dr Patty McAlpin and is licensed for reuse under the Creative Commons Attribution-ShareAlike 2.0 license. 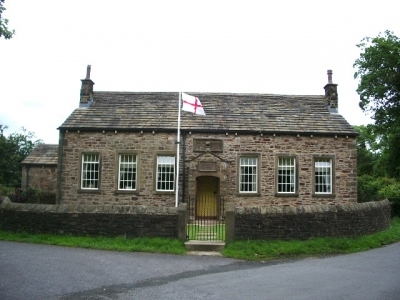 The National School for Girls was built in the churchyard at St. Lawrence's in 1818. 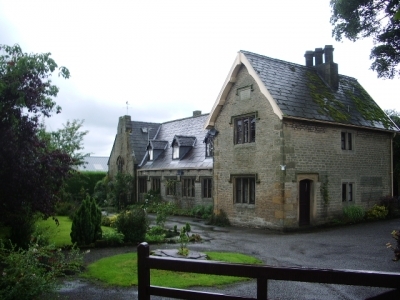 The photographer found that "the boys' and girls' schools at Sigglesthorne were replaced by a mixed school in 1867 but this building was still in use as a nursery school in 1990." Source: www.geograph.org.uk. The copyright on this image is owned by Paul Glazzard and is licensed for reuse under the Creative Commons Attribution-ShareAlike 2.0 license.